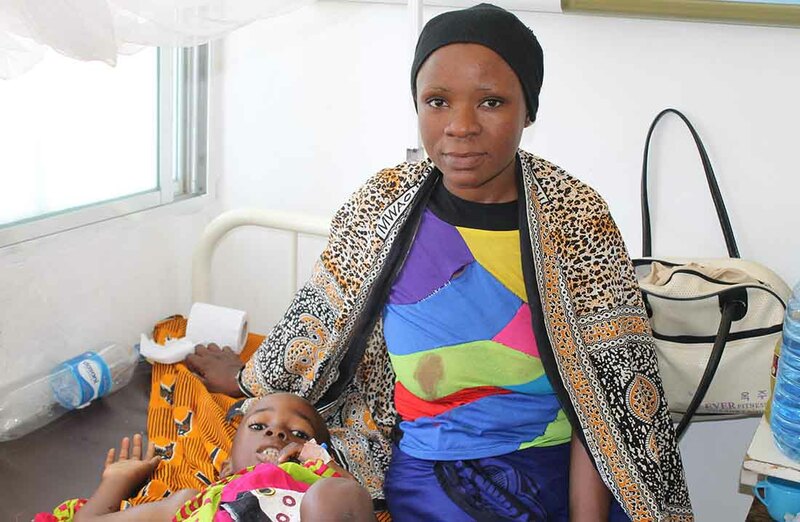 DAR ES SALAAM, Tanzania—Mwema Hamisi knew her 6-year-old daughter was very sick. The symptoms came on suddenly. One day, Asha was happy and playful. The next day, she was in pain. Hamisi took Asha to one hospital, then another and another. Asha went to three hospitals in less than two months, but no one seemed to know what was wrong with her. Finally, Hamisi and Asha were referred to Muhimbili National Hospital in Dar es Salaam, about an hour-long trip from their home. There, Asha was seen in the pediatric oncology ward and doctors diagnosed the kindergartener with Burkitt’s Lymphoma, an aggressive form of childhood cancer. Hamisi had never heard of BL, but doctors explained what needed to be done and shared the good news: BL is highly treatable when it’s caught early. And it appeared doctors diagnosed Asha in time. Treatment to save her life could begin right away. Asha is fortunate her mother kept working to find help, because care and treatment for childhood cancer is not readily available in Tanzania. The Upendo Children’s Cancer Ward at Muhimbili National Hospital is the only children’s cancer ward in the country. 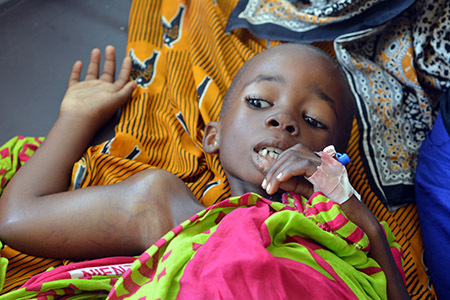 More than 85 percent of childhood cancer occurs in developing countries, such as Tanzania. Lack of access to health care contributes to poor survival rates in these countries. Burkitt’s Lymphoma is most common in children living in sub-Saharan Africa and is related to the Epstein-Barr virus. Symptoms usually include swelling and distortion of facial bones and tumors that can grow quickly, sometimes doubling their size in 18 hours. Dr. Trish Scanlan, an Irish pediatric oncologist, runs the children’s cancer ward. When she arrived in Dar es Salaam in 2007, there was only a 5 percent survival rate for most pediatric cancer patients. Children with BL had a higher survival rate, but only if they were diagnosed early and treated promptly. 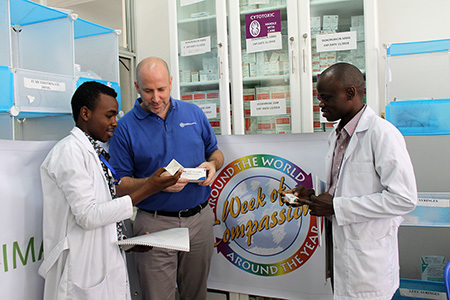 About 70 percent of the hospital’s funding comes from the Tanzanian government, but Muhimbili National Hospital depends on organizations, such as IMA World Health, to fill the gap and enable children to receive care for free. 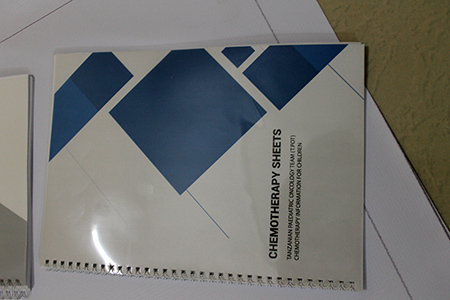 For more than a decade, IMA has provided chemotherapy drugs and educational materials that help train health care professionals in diagnosis and case management. Because of IMA’s support, more than 4,500 children, like Asha, have been treated. More than 2,000 health care professionals and students have been trained in diagnosis and case management. In Asha’s case, her journey has just begun, but she looks forward to going back to school where she has many friends. Until then, her mother will be by her side, working to ensure her daughter has a bright future of health, healing and well-being. IMA relies on funding from private donors, churches and Member agencies to provide this important, life-saving work. IMA is committed to saving the lives of children who are diagnosed with Burkitt’s Lymphoma, and we need the continued support of caring people all over the world. Thank you, in advance, for your generous donation. To give today, click on the “DONATE” tab at the top of this post. If you need assistance, contact Fundraising Officer Jennifer Bentzel at 717-353-5088 or email info@imaworldhealth.org. You can reach our headquarters at (202) 888-6200.